Having tried 1,300 beers as of 12/31/12; I’ve begun to reflect on how my palate has developed over the past year and come up with a list of beers I want to try in order to continue that development. Before getting into my goals for 2013, I’d like to share a couple of observations that I’ve come up with recently regarding where my palate is at now. 1. One of my primary views of the plethora of beer styles available nowadays has always been that one should not say he or she does not like a certain beer style; because with some effort you’ll be able to find an example of each style that you can enjoy. Though I still believe this, there are beer styles that I don’t really care for anymore and have stopped seeking out despite having found examples that I can enjoy drinking. For example, I used to really enjoy pumpkin ales and spiced winter ales; but over the past couple of years I’ve found that I don’t enjoy them as much as I used to and don’t have the urge to seek them out during the fall and winter. In addition, certain examples of those two styles turn me off to the point that I don’t even finish the whole 12oz bottle due to them being over-spiced or not my cup of tea. 2. The pursuit of rare beers has become less important to me. In 2012 I didn’t do as many beer trades and concentrated on the beers that I have access to in NY and NJ. Of course living in one of the east coast’s biggest craft beer markets affords me access to a lot of special release beers, which I’ve continued to seek out and purchase. However, I should note that after trying lots of “hyped beers” I’ve found that while drinking them I can get past the hype behind them and make my own judgment better than I used to. Doing so allows me to make my own distinctions between which flavors profiles excite me within hyped beer styles (e.g. Imperial Stouts and Double IPAs), and adds a certain objectivity to an otherwise very subjective experience. Lastly, if you look at my beers tried list you’ll see that I’ve yet to try Westvleteren 12. While I’d love to try it, I don’t share the feeling that I need to go out of my way to try it e.g. buying the $85 “brick” six pack or trading for it. Oude Gueuze Tilquin – As one of the world’s prominent producers of world class beers I look to Belgium for beers that will help me appreciate the tradition and genius behind the beers I drink. Specifically each Belgian beer style has its own story and unique flavor profile that can enhance a beer’s overall drinking experience. For me American craft brewers have come close to authentic tasting Belgian style beers, but there’s usually (there are exceptions) something missing from the flavor profile that makes me crave an authentic Belgian beer. So for 2013 I hope to try Oude Gueuze Tilquin and other great Belgian beers that will help me continue to appreciate the genius and tradition behind Belgian beers. Kostriker Schwarzbier and Theakston Old Peculier – Over the years I’ve tried various classic German and English beer styles, but I’ve found that I drink them quite sporadically and therefore am not giving them the attention and respect that they deserve. Therefore, in 2013 one of my goals is to try as many German and English beers as I can in order to get a better picture of how they can help me develop my palate and knowledge of beer. 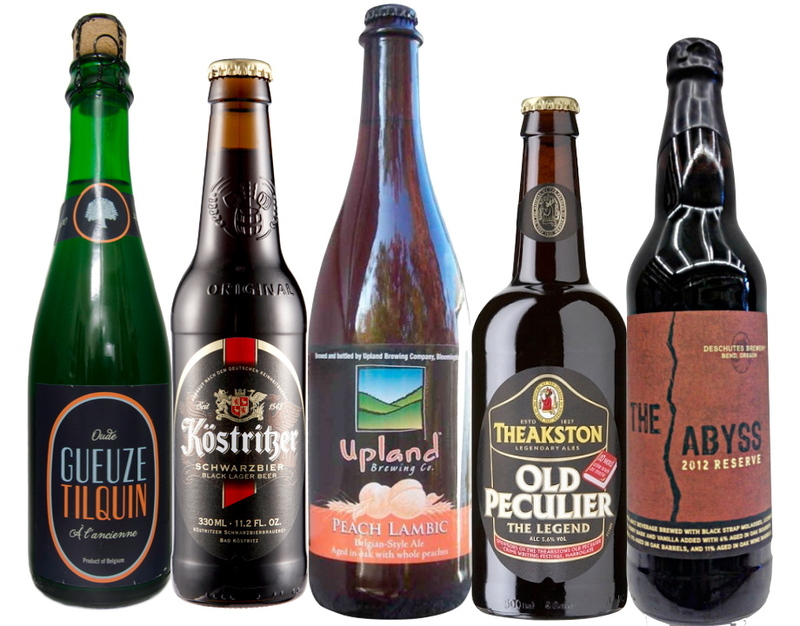 Upland Peach Lambic – One genre of American craft beer that has really taken off over the past few years is that of “Sour Beers”. In fact it is this Belgian inspired genre of beers that American brewers have been able to both master and take to the next level. As such, in 2013 I’d like to try as many sour beers as possible; even if I have to trade for them. Doing so should help me continue to develop my palate for and knowledge of the variety of flavor profiles within the “Sour Beer” genre. Deschutes Abyss 2012 Reserve – As noted above my ability to drink rare/sought after beers in a more objective manner has grown over the past year or so. In 2013 I will do some more trades (I have a bottle of Deschutes Abyss 2012 Reserve coming my way in a trade), continue to try rare/sought after beers to see both what the hype is about, and in turn continue working on my palate’s ability to discern between what other people say these beers taste like and what I am honestly tasting when I drink them. Cheers and Happy New Year!!!! 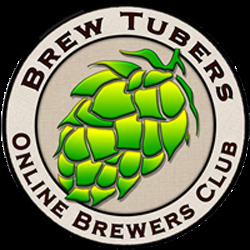 This entry was posted in Craft Beer Advocacy and tagged beer resolutions 2012, craft beer, Deschutes Abyss, Kostriker Schwarzbier, new years resolutions 2013, Oude Gueuze Tilquin, Theakston Old Peculier, Upland Peach Lambic. Bookmark the permalink. I would argue the Gueuze is more of a “sour” ale than the lambic is. They are both delicious, though. Also, enjoy the Abyss. It’s been on draft here the past couple weeks and I’ve really enjoyed it. Perfect time of year for it, too. Both lambic and gueuze are in the category of sour ales. The reason I chose the gueuze was because that style has a deep tradition within Belgian brewing. 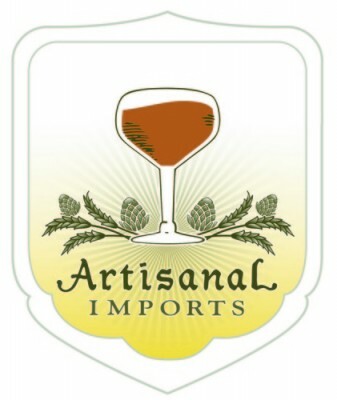 I agree with you though…sometimes fruited lambics are not as tart, sour, or funky as gueuzes can be. Sadly, the person I’m trading with could only get me one bottle of Abyss 2012. Would you be able to get me a bottle?